Learn Russian in the amber region of Russia! Established in 1997 our company has been engaged in providing international education services for students interested to improve the knowledge of Russian, English, German and French languages. We are accredited by ICEF (International Consultants for Education and Fairs), member of the EAIE (European Association for International Education) and Quality English Associate School. Teaching techniques employed at our school correspond to modern educational resources and techniques, created by leading linguistic and testing centres of Russia. Teachers are specially qualified and trained to provide Russian for foreign students. You will be treated with care and personal attention on every step of your study process. 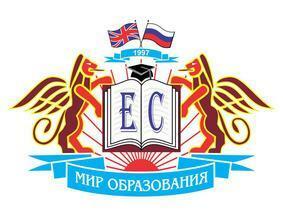 World of Education (Mir Obrazovania) is also an official testing venue for IELTS, TOEFL and TORFL (Test of Russian as a Foreign Language) exams, provide possibility of distance language learning, and arrange student exchange projects, as well as advice on visa obtaining issues. Our company offers Basic, Intensive, Business, Academic Russian language courses and TORFL preparation course in the very center of Kaliningrad. We will provide all the assistance needed for obtaining the visa, booking accommodation and transfer. You will enjoy the friendly and charming atmosphere of the most European Russian city. Looking forward to see you here! До встречи! The Kids Club offers a summer course (June-August) for children between the age of 6-8.